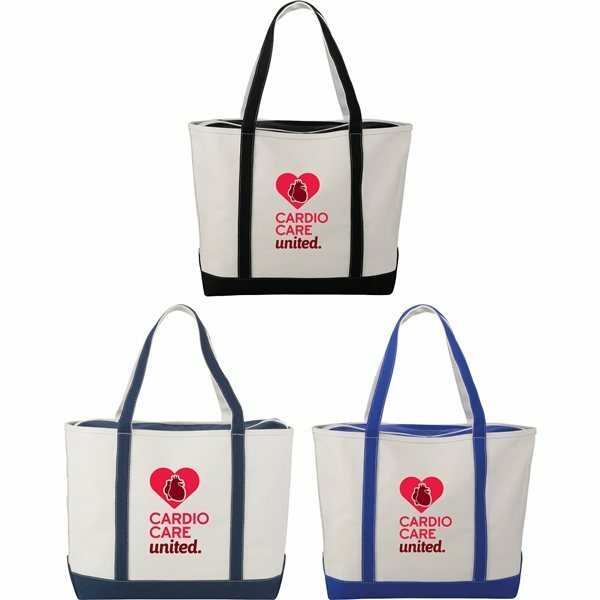 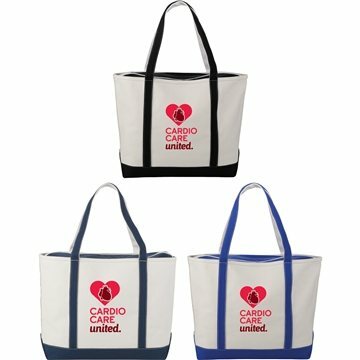 Great for outdoor events and travel. 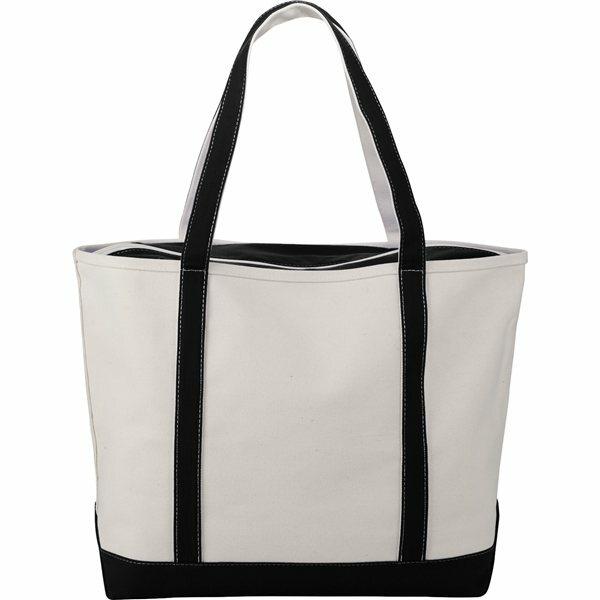 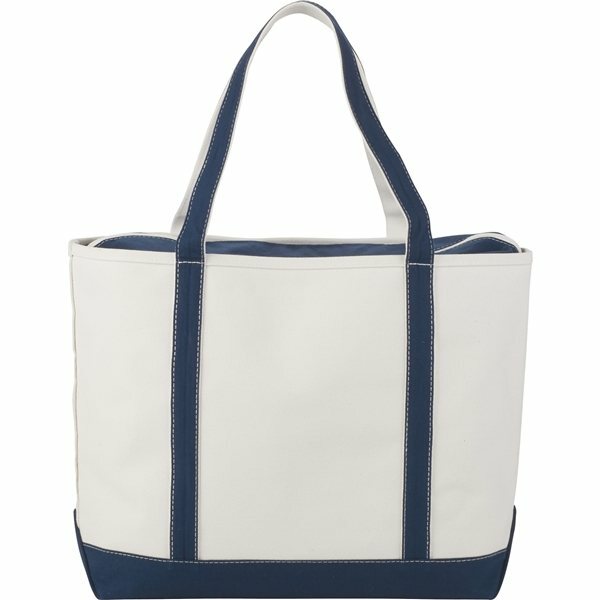 Classic boat tote with premium heavy duty material. Zippered main compartment and open interior pocket.